Last year my Dad (who has always been a very active, fit and healthy man) was suddenly taken very poorly. He had complained of a sore throat, but went to see his GP before flying over to India for Business, and was prescribed with antibiotics for tonsillitis. Whilst he was in India he felt very unwell, and when he got home 3 days later, within 10 minutes my Step-mum Mandy was calling the ambulance. Dad was taken into Peterborough City Hospital, his stats were all over the place and he was struggling to breathe. After 24 hours he was taken into CCU and put onto support. This was when we were told that Dad had developed a serious blood infection called Sepsis. Whilst still on the support and after a week of no improvement, he was taken to Papworth Hospital. Here they planned to operate and put drains in his chest, so that they could drain the infection. Before they could operate we were told he needed to be put onto an ECMO machine, as he wasn’t strong enough to survive. After 5 days at Papworth he was taken back to the CCU in Peterborough. During his time in hospital, he was extubated three times, which caused the nerves in his throat to be damaged, and he wasn’t able to eat or drink. After a little more time spent in hospital, he became strong enough to be taken off the support and breathe on his own. Thankfully not only did he recover from Sepsis, but after 6 months he was able to eat and drink again. Sepsis is a life threatening condition, and is not as well known about as it should be. I am so lucky to have a Dad as strong and remarkable as he has been, and it’s amazing to see he is back to his old self! We will always be grateful to all our family and friends for their support! 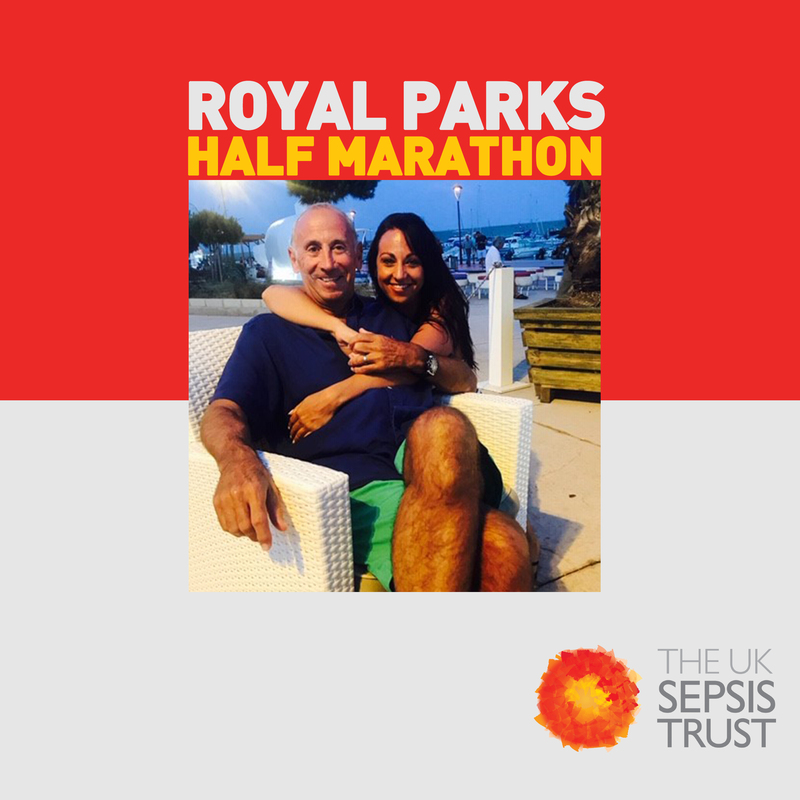 I have decided to run the Royal Parks Half Marathon to raise money for the UK Sepsis Trust!